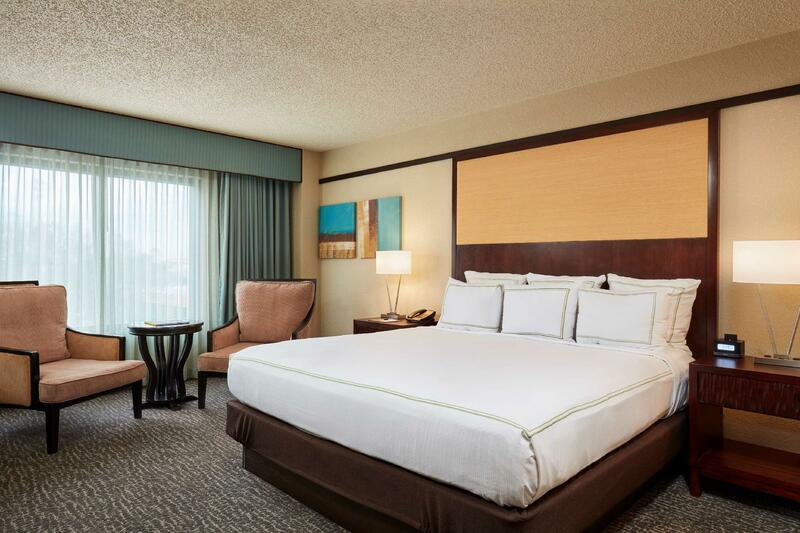 "It was interesting staying at a garden style hotel after bei..."
Have a question for DoubleTree by Hilton Orlando at SeaWorld? "Room service was also really good." "It was nice walking around the property and they had so many activities and we appreciated restaurants being open til late at night." 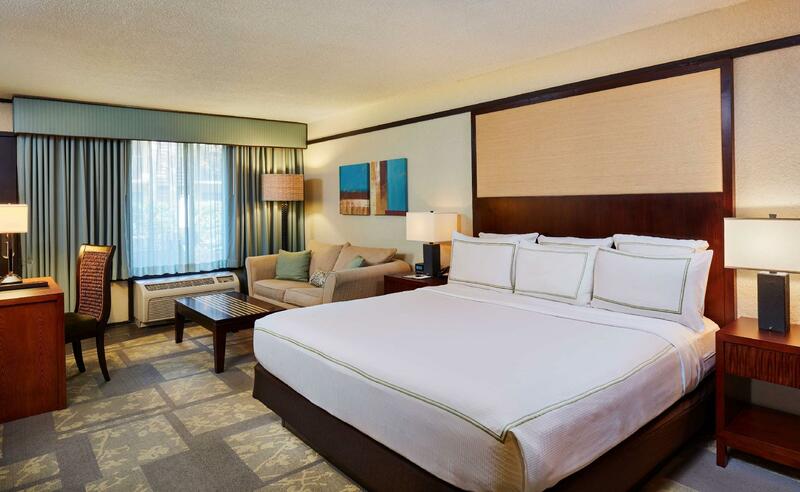 DoubleTree by Hilton Orlando at SeaWorld has 1,020 rooms arrayed in eighteen low-rise buildings and a 17-story tower. The spacious, Balinese-influenced rooms have armoires, work desks, and beds with plush top mattresses, down blankets, and cotton-rich linens with triple sheeting. 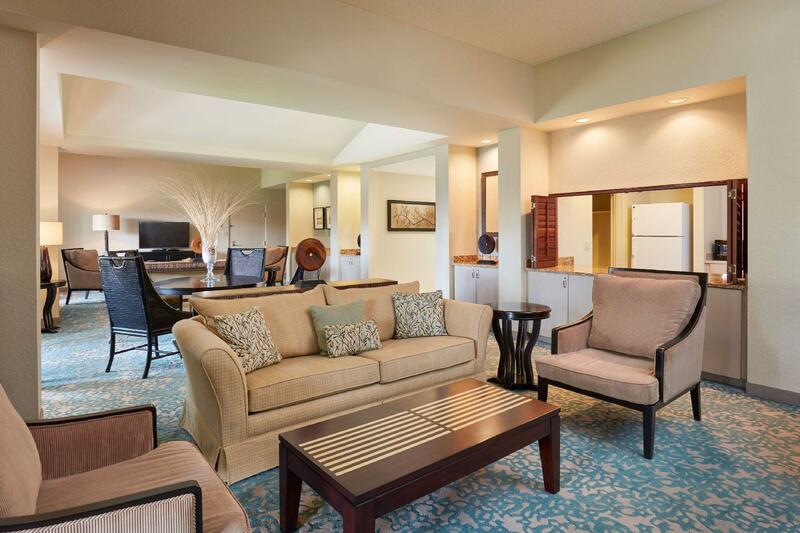 Tech up with flat-panel LCD TVs and complimentary wireless Internet throughout the property. 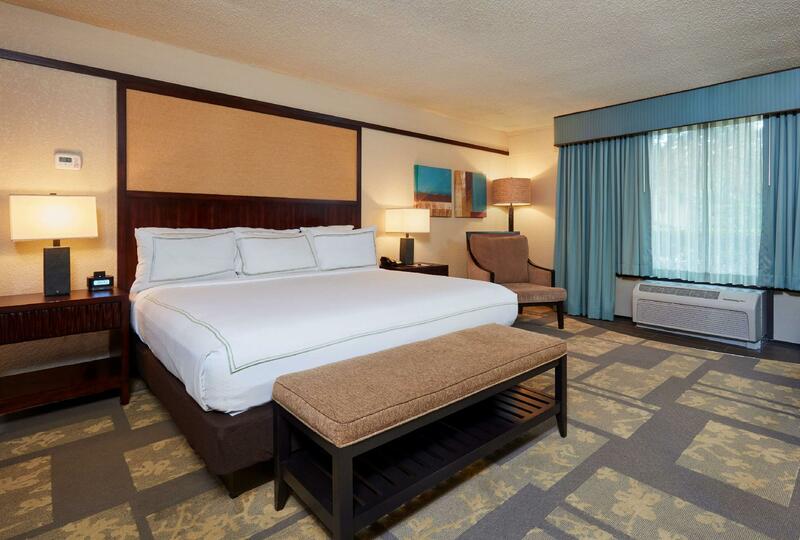 Rooms have views of downtown Orlando, SeaWorld or the garden and pool. Two shimmering outdoor heated pools, one of which is a lagoon pool with a rock waterfall, poolside bar and cabanas. Kids will enjoy the children's pool, supervised kids' recreational program, outdoor table games, and mini-golf. Dine and drink in the Laguna restaurant or Sonoma lobby bar. The Market has light fare, snacks, drinks and Starbucks. 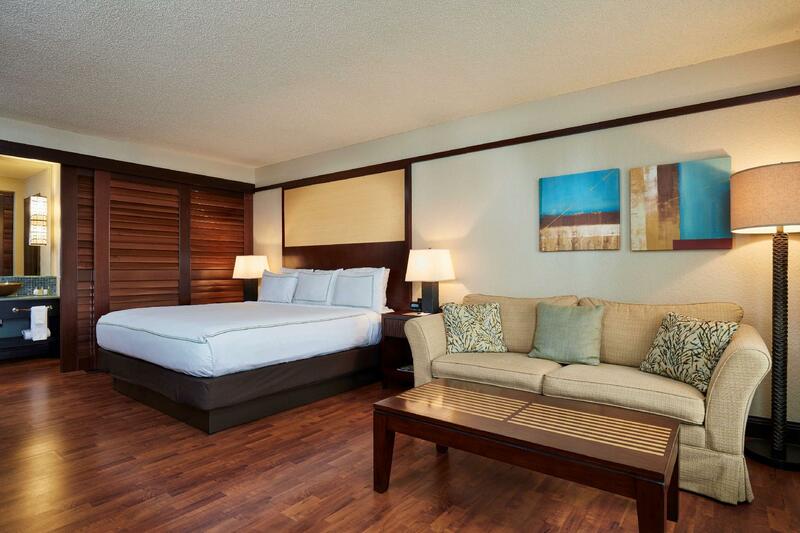 The resort also has a fitness and business facilities and a car rental desk, and a UPS Store. Parking is available for a surcharge, and shuttle service to SeaWorld, Universal Orlando is free. A shuttle service to Disney parks is available for a surcharge. Pictures of the "resort" are misleading. They don't show you the many older two story buildings that they put their guest in for the discounted pricing. Front desk service was worse than most motels. Twice I tried to call them from my room with no answer. The three times I went to the front desk, it was a twenty to thirty minute standing wait. First time was at check in, second was at MIDNIGHT (still had to wait), and third was at check out. I felt the front desk lacked empathy and didn't really care what product they provided. Sadly, this stay will reflect on Agoda and the Hilton brands when it's time for my next booking. The hotel is prety average for the area. However, at the end of our trip they chraged usthe “resort fee” eventhough all fees had already been payed for and no facilities besides the room were used. We asked for an explanation but none was given the saddest part is that they asked us our credit card in the beginning just for damage purposes and at the end they used it to extract the fees. We tried to contact them through the proper support channels and also obtained no repply. I forgot that double tree hotels had their oatmeal chocolate chip cookies upon checking in. We tried to update our reservation a couple weeks before we arrived to switch from two queen beds to a king bed but they couldn't accommodate us due to being fully booked. They gave us the option of trying to switch on our 2nd night but we were too tired to do so. It was interesting staying at a garden style hotel after being used to taller buildings. It was nice walking around the property and they had so many activities and we appreciated restaurants being open til late at night. We would love to see a more expansive menu for the Laguna restaurant. Other than that, the service was great. The bathrooms were a little outdated too and could use a little renovating. Great value for the money. Clean facility plenty to do while on grounds. I had a blast playing mini Golf at night with my family. Room service was also really good. I ordered it on numerous occasions. Pancakes, bacon , pizza and grouper tacos were all amazing. The daily cookies were also a nice bonus. I’d definitely visit again. Also, the village inn restaurant and Z Spa which are located across the street were great too. Room was really updated great location..a little close to construction where there remodeling. Will definitely be back. The place was grotty, I booked a single room with 2 queen beds with a microwave and mini fridge. I got 2 double beds no microwave and no fridge. The room was grotty, bed linen was awful, me and my children didn't sleep due to itching all night in the bed. Never again would I stay here or recommend anyone to stay here. It is close to SeaWorld, only half a mile a way and there is a Walmart close by. This is not 3 star, shameful save your money and look somewhere else. Doesn't deserve one star but the review will not post with zero stars. Disappointed. It was a bad experience. I booked a room for three days. The first day I got the room was really not clean sheets were stinky. I tried to call front desk/ room service and no one picked up. I was itching due to the bad stinky sheets all night, me and my wife. Also when I checked-out, they charged about $26 each day which I was not told AT ALL!! And there was nothing in the booking that says so. 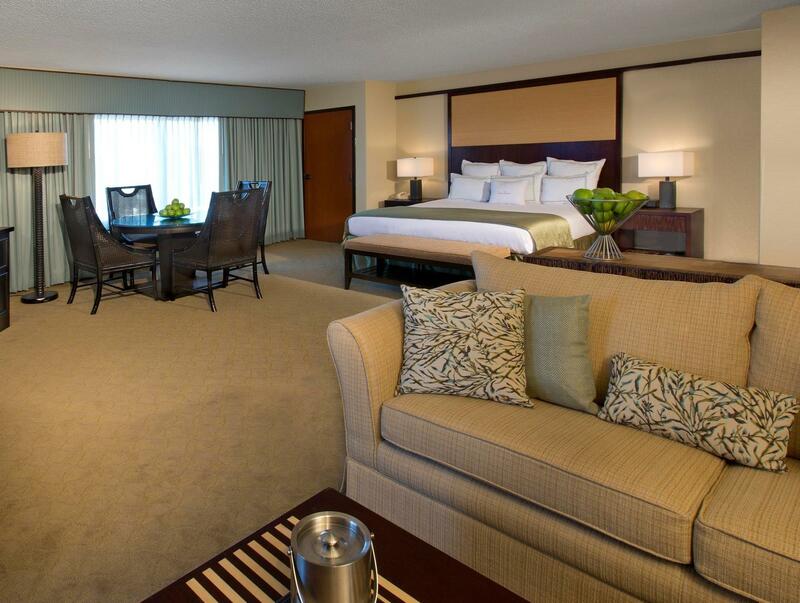 I spend three nights in the Doubletree Hotel while I was on a business event next to the hotel. When ever I needed anything the team of the hotel kept an eye on me and served me on a high level. The room was great the possibilities in the resort more than enough. I loved it and want to come back. They stay was good, and the staff was accommodating, however they did not have our reservation that we made with you, but luckily they were still able to find a room for us. We got charged twice, for this room, so we will be looking to rectify this situation. I will never use your service again. I requested tower rooms 4 times and was ignored and put -off after each request. Each of your desk personal and reservation staff procrastinated and we ended up in 1st. floor rooms in an out building. Two weeks prior to our visit I stopped at the hotel for reservations and was told0 per night. Went on line rooms . That was the first time your front desk personal let me know I was welcomed. PS And you want me to buy a vacation package. At my first arrive the front desk staff offer me an upgrade. The hotel was almost empty and they sent me to a room in the parking lot 1 level. When I return and claim for the update i almost cancel my reservation until they get me another room. The hotel personnel wasn't attentive, the rooms wasn't clean. Very bad experience!! Great hotel in the resort style. Warm cookies on check in are fantastic. Hotel is one of the pickup points for the Gray Line Tours to Kennedy Space Centre. Rooms were very nicely appointed as well. And the food at the restaurants is fantastic. Vey Pleasant stay. 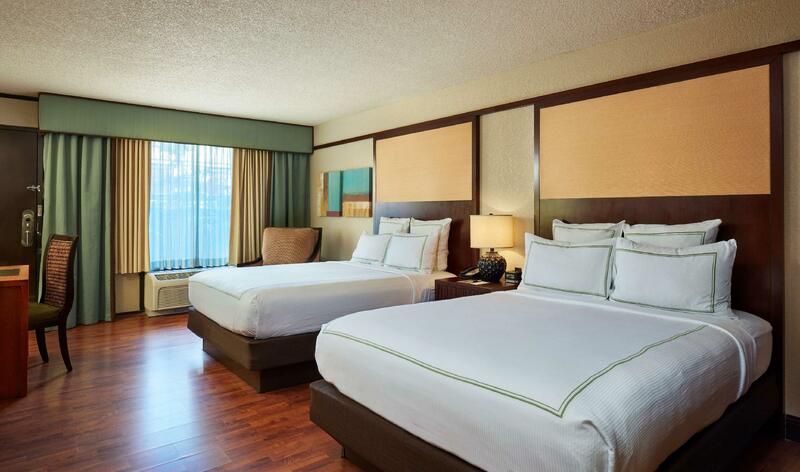 Comfortable beds, excellent room. Friendly staff.